GAP is Buy One Get One 50% off all regularly priced items with the code BOGO50. Need a denim jacket? THIS looks like a good one! LOFT is an additional 60% off sale. WOW! That’s basically free. Click HERE to shop. 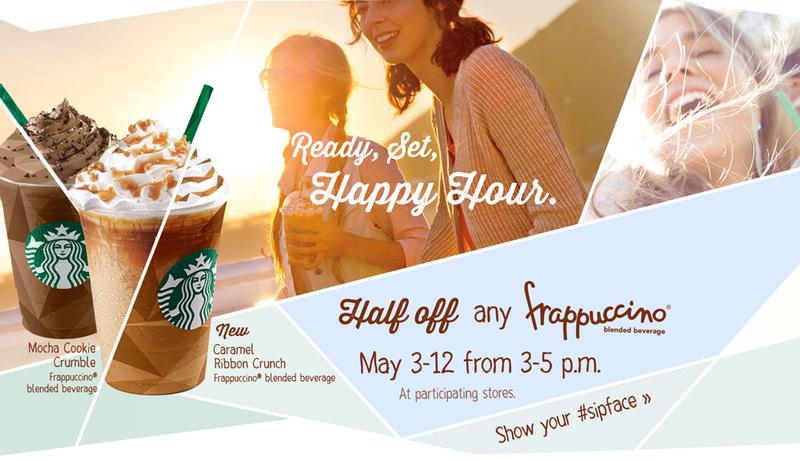 Also…check out this promotion Starbucks is doing! but my VERY FAVORITE one is up first! I woke up on Thursday morning and was so disappointed that it wasn’t raining. Well, because I got my new Hunter boots in (I might have squealed when I opened the box) on Wednesday afternoon and couldn’t wait to introduce them to the world. There was a 30-50% chance of rain, and that was enough for me. And here’s the truth, if Greg Fields had so much as hinted at the fact that there could possibly be a slight chance of a sprinkle at some time during the day, I would have worn them. Torrential downpour? SIGN ME UP! I’m ready! Once again, my collage of Pinterest images convinced me to make the purchase! You’ve got to admit, this collage is pretty flippin’ persuasive. All of the pics make me happy, and I’m thrilled that I pulled the trigger! I decided to go with the High Gloss Smoke HERE. Kendi wore her Hunter boots (she has them in “Flame”) last week. Love how she styled them! You can find the Flame color HERE. Other colors available at Zappos HERE. These boots don’t come in 1/2 sizes. I’m usually a 6 or 6 1/2, so I ordered down and got the 6. They have PLENTY of room in them for when I’m going to want to wear a think sock with them. I am so glad I ordered a size down. However, lots of the reviews say to order up. So keep that in mind. 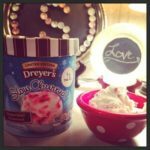 Read the reviews and decide for yourself! And I’m telling you, they will go with everything. And how DARLING is that bride? If you’re not into the boots, you could always go the flats route. 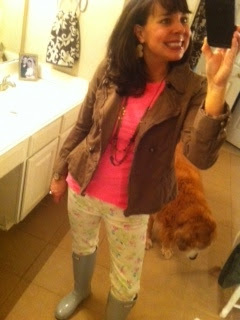 Click HERE for some Hunter ballet flats in lots of great colors (the camel and pink are my favs)! 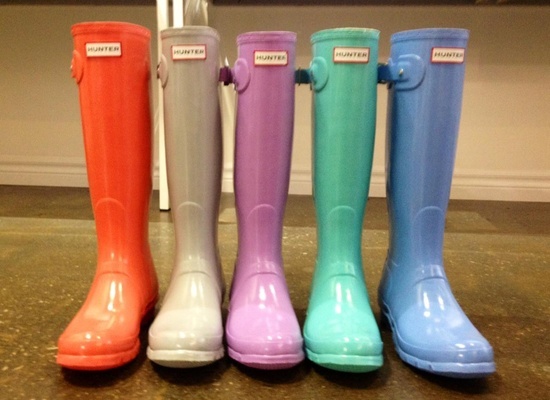 Do your kids need some Hunter boots? Click HERE for kiddy sizes! (My little man has rain boots and not only does he love them, I love them. fyi: I left the house at 7:20 a.m. and I returned at about 4:45 p.m.
Not one drop of rain. Not one. It finally sprinkled a little at around 5:00. 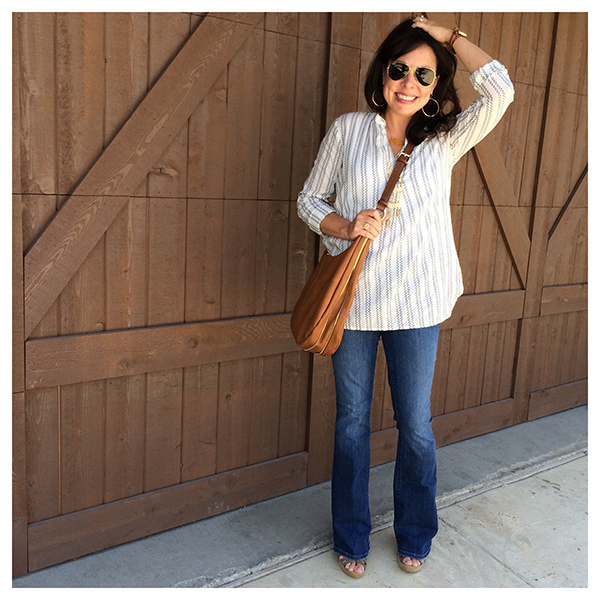 You guys know I love the J Crew Factory v neck tees like my striped one HERE. Well, I found a new one. so click HERE and then type “neon squares” in the search bar. 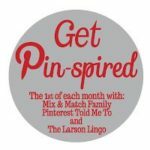 If you’re a follower of this blog, then you are probably saying “What the heck? I thought she loved NARS lip gloss?!? Shay has been talking about this lip gloss for a sweet forever, so I finally tried it. Well, she shut me up with this one. I must say, Shay is all sorts of right about it. THIS lip gloss is flipping awesome. It’s like $10 cheaper than the NARS gloss, and I like it more. It goes on so smoothly, is super shiny (which I love), and not at all goopy. I wear it over a pinky red lip and it looks great. I’m still wearing the heck out of my new military jacket that you can find HERE. The green is only left in Large and Extra Large. The khaki color is still available in all sizes and would be just as versatile. It’s the perfect weight and is truly a “throw on with anything” jacket. It sounds kinda weird…but it makes an outfit look more polished and put together. After getting this jacket I have realized that having a lightweight jacket like this as a part of my wardrobe was SO needed. 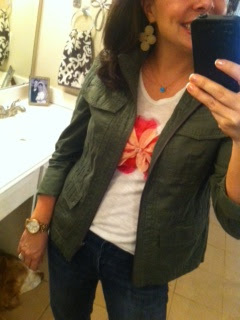 My first “military jacket” was more fancy (w/ brass buttons and a little peplum hem). Having a plain one like this is awesome. You can literally throw it on with anything. LOVE THIS one. It’s a little more fancy and more expensive, but I love it. THIS one with some cool embellishments. Nordstrom Juniors Department option HERE. An oversized option HERE that is grey. It has a fun collar and a cute drawstring detail at the bottom. And last, but certainly not least, a super fun camo option HERE! 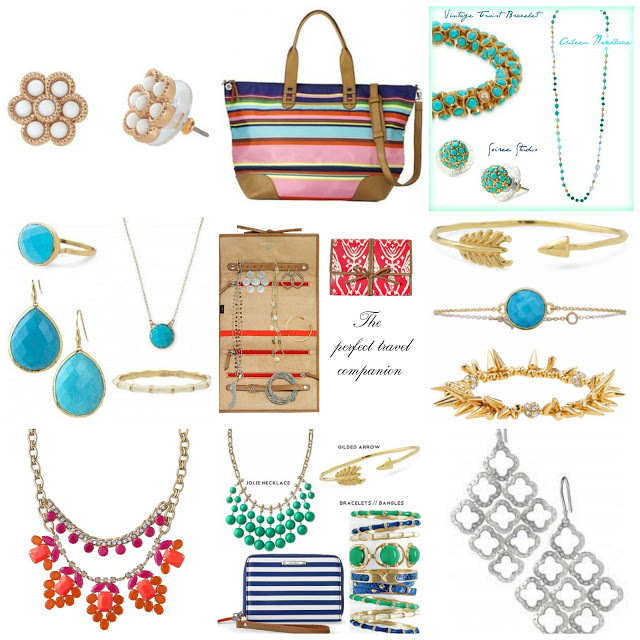 Don’t forget that my Stella and Dot trunk show is still open through my friend Jenny! Shop around for GREAT gifts for Mother’s Day, graduation, and/or teacher gifts. I got THIS necklace last year, but I just added a “C” charm to it to represent my little man. Now I want to add either the “with love” charm or the cross to it. It’s so special and I love it! 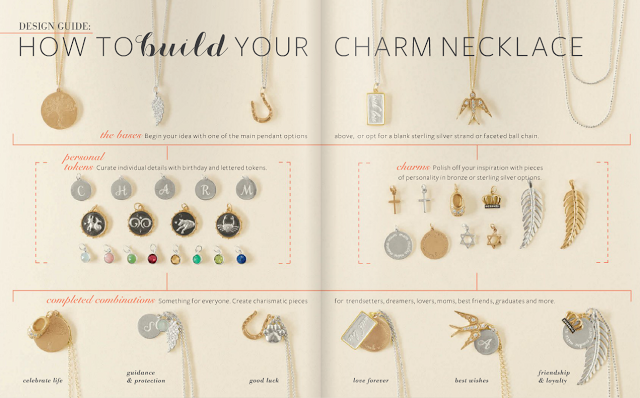 And here’s their guide for building your necklace! 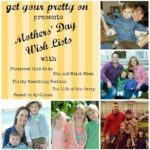 And here are some other choices for gifts for you or your mom! I mean, what mama wouldn’t want these things? And you gotta see my Swimsuit Guide from yesterday HERE where I highlight lots of different types of swimsuits at lots of different price points. First of all, never doubt my knowledge of lip gloss. The 30 tubes of MAC gloss in my bathroom drawer should have been your first clue that the gloss was fabulous (and that I might have the tiniest little obsessive shopping disorder…). And second, I am praying for rain. Your boots are FABULOUS! 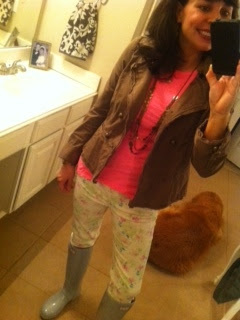 I will pray for the rainiest May ever in the Dallas area…you gotta rock those boots! 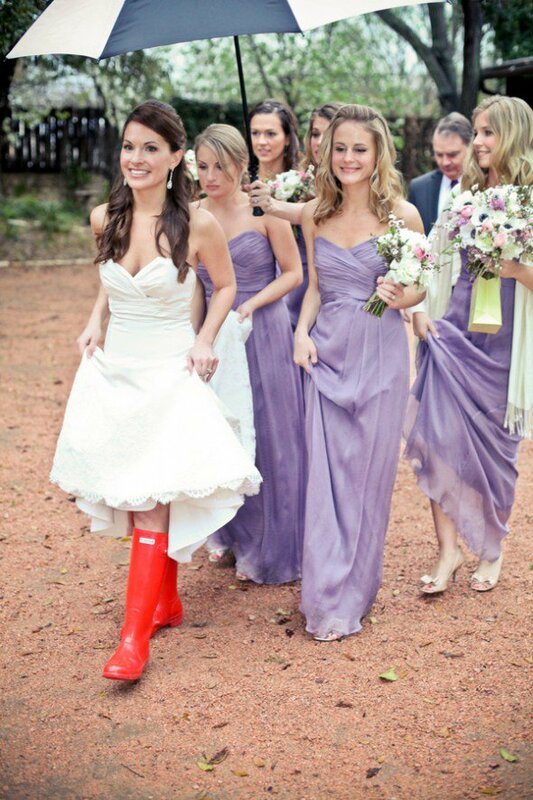 PS: I want to get married again just so I can wear Hunter boots under my gown. Adorable! 🙂 You girls crack me up! Love y'all! p.s. I am not from the south, but just said y'all for the first time right there….loving it! 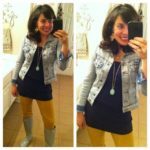 I have Hunter boots and love them! But, I have never seen the flats and they are soooo cute!!! Maybe you both could do a story on your lipglosses! Your new wellies are so cute! 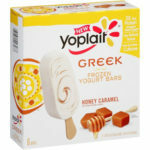 I must get some!!! I'm thinking red! Yes, Viva Glam is one of, if not the best lip gloss out there. I love all of MAC's lipsticks! They're pretty much perfect! 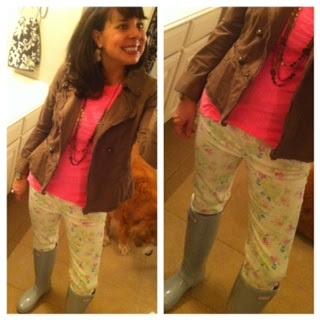 I have Hunter boots and love them a lot…I totally wear them even if it doesn't rain (although I welcome rain also)! And they make them for kids too! I bought the girl a pair of hot pink Hunter wellies and she has worn them almost every day, rain or shine! I have not seen the flats–LOVE the aqua! I'm kind of in love with the Cornflower blue and Lavender boots! Darling!! Anyway, enjoy them and I'm glad we got some precipitation yesterday! I want a pair so bad!! 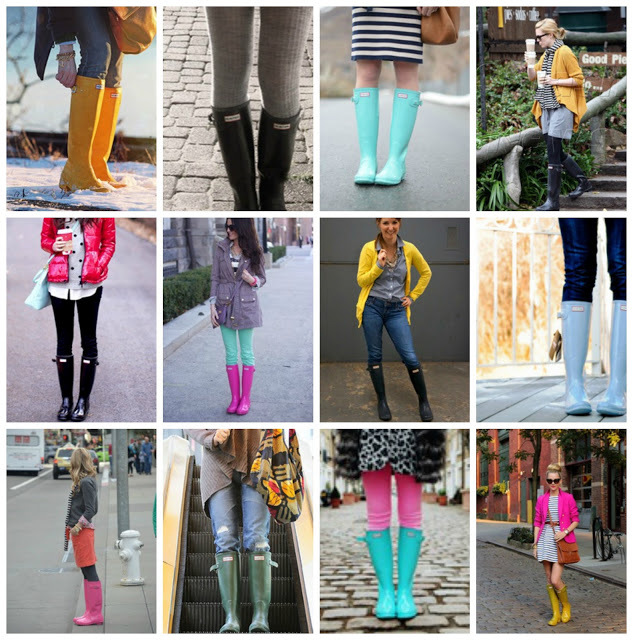 I finally got up the nerve to ask my husband to buy me the Hunter rainboots for Mother's day (in yellow). He however had another gift idea in mind…. I also sent him links to Charles Emerson Design jewelry…. I really hope he changes his mind and gets something off my list. Unless, it's a prenatal massage. Then, he can give me his gift idea, and i'll just buy my own rain boots. 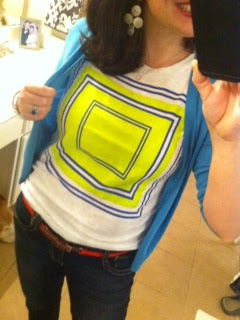 LOVE the neon square shirt. What size are you at J Crew Factory? I want to order but I'm scared since I don't know what size to get. I just bought Hunter boots a few weeks ago and I LOVE THEM! They make any outfit seem stylish! I bought them in black but I'm thinking now I need them in a fun color. For how much it rains and snows here, its justifiable! In the winter, I want to buy the "Hunter boot socks" that make them 10X warmer, too. Not sure I'd wear them with a wedding dress though ,ahaha.